This alert contains extremely graphic images that may be disturbing to some readers. Please ask any young children to leave the room before clicking "More". We are not including these images to shock or offend, but simply to convey to you the reality of what is happening in Nigeria – the time has come to wake up to the truth! You may recall our alert following the horrific Christmas Day 2011 church bombing by Islamic extremist group Boko Haram that claimed the lives of at least 45 Christians. Sadly, far from serving as a wake-up call for both the international community and the Nigerian government, the Christmas Day attacks were merely a sombre preview of things to come. The situation in Nigeria is increasingly urgent, and if immediate action is not taken to bring to an end the slaughter of Christians, we could be witnessing the beginning of a genocide in Northern Nigeria. This Sunday morning (Nigerian time), Islamic extremists carried out 3 coordinated attacks on churches in Kaduna region, leaving at least 44 dead and hundreds more wounded – although the numbers are likely to rise as the casualties are fully accounted for. The first attack took place in the town of Zaria, when a suicide bomber drove through a barricade and detonated a massive explosion that killed 24 worshippers and wounded over 100 others. Within a few minutes, a second bomb went off at a nearby church, killing another 10 and wounding approximately 50. A third bomb was detonated in the city of Kaduna approximately 30 minutes later. Even by the most conservative estimates, at least 200 Christians have been killed at the hands of Islamic extremists during the first 6 months of 2012, in addition to the thousands killed over the previous two years. Although the Western media has used phrases such as “sectarian violence” and “religious conflict,” the past two years can only be described as a massacre of the Christian community. Boko Haram and its followers have repeatedly and publicly stated their goal: to remove the Christian presence from Northern Nigeria either by killing Christians or driving them out of their homes through fear. Such a plan amounts to nothing less than genocidal intent. The growing danger faced by Christians in Northern Nigeria is further illustrated by the fact that Christian churches have been targeted on each of the two Sundays leading up to the latest attacks. 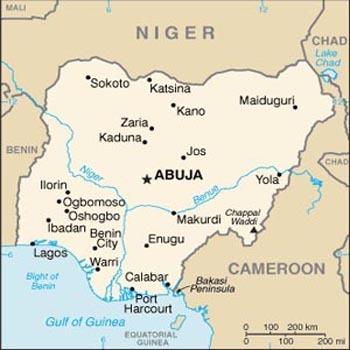 The June 3 attack in Bauchi left 21 Christians dead and at least 45 others injured, whereas the bombing in Jos the following Sunday killed 2 and injured more than 40 Christian worshippers – the third such attack in Jos in 2012. Also on June 10, gunmen affiliated with Boko Haram killed at least two Christian worshippers during a church service in Borno state. These attacks are merely the latest bloody chapter in a violent campaign aimed at Christians in Nigeria. While we will not endeavour to bring you an exhaustive list of these horrific attacks, the following examples should serve as a wake-up call for all who care about human rights (Christian and non-Christian alike) to speak out and take action to bring to an end the violence in Nigeria. On Easter Sunday (April 8), for instance, a suicide bomber attempting to attack a Christian church killed over 40 people and injured dozens more. 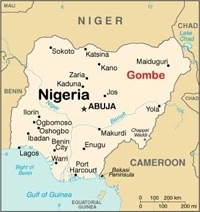 At least eleven more Christian worshippers were killed in two separate attacks on churches in Jos, on February 26 and March 11 respectively – and in both cases the bomber was diverted just prior to detonating the explosives, failing which the casualty figures would have been even higher. Other bombings in Suleja on Sunday, February 19, and in Bauchi City on Sunday, January 22, left approximately 10 more Christians dead and many others injured. In the week from January 3 to 9 alone, Boko Haram took credit for the killings of 44 Christians in 4 Nigerian states. There are reports from some media outlets that a group of Christians engaged in retaliatory killings after the latest gruesome attacks. At this time, we cannot confirm either the reports of the killings themselves or whether the attackers were, in fact, Christians. If these reports are true, our hearts are grieved for this additional loss of life, and our prayers go out to the families of those who died. One Free World International does not condone violence of any kind, and we urge the Christian community in Nigeria not to seek retribution by returning evil for evil. However, even if these reports are true, the isolated actions of a few in no way diminish either the horror of the past attacks or, more importantly, the present and increasing danger facing Christians in Northern Nigeria. Additionally, such regrettable actions are a testament to the lack of protection provided by the central government, which causes some to believe (however wrongly) that their only option is to take matters into their own hands. Indeed, despite the escalating campaign to eliminate Christianity from Northern Nigeria, the central government has failed to suppress Islamic extremism and groups such as Boko Haram, or to prevent repeated attacks on Christian communities. While we acknowledge that some efforts at protection have been made, when it comes to preventing the massacre of human beings, ‘best efforts’ and ‘good intentions’ are simply not enough. Moreover, our sources indicate that police and security forces were warned on a number of occasions that the attacks detailed above would take place, but did not intervene to protect the Christian churches. By turning a blind eye to the attacks, the police and military have become complicit in these atrocities. It is vital that we call on our political leaders to hold the Nigerian government accountable for its failure to protect the Christian community. We are grateful that both Canadian Minister of Foreign Affairs John Baird and U.S. Secretary of State Hillary Clinton have issued statements following two of the attacks this year – on April 8 and May 1 respectively. However, it is imperative that our governments’ response not be restricted to isolated statements condemning individual attacks. Public statements by our governments, while vital, are only the first step and must be backed up by consistent and sustained pressure on the Nigerian government to take action against Islamic extremists through diplomatic efforts and through linking our trade and aid to progress on human rights. We must not forget that our brothers and sisters in Nigeria are not blessed with the peace and security we enjoy. We cannot afford to stand by as Christians are massacred simply because of their faith and religious practices. OFWI has been working to provide medical and humanitarian aid to the wounded in these attacks through our contacts in the region. Nigerian Christians desperately need our support, so please take a few moments from your day to join us in seeking justice and peace for our brothers and sisters. Your prayers, letters, and financial support are vitally important to reach the victims of these attacks with your comfort and encouragement. We must stand with our brothers and sisters and for their right to live and worship without fear of being killed for their faith. Please make your voice heard on behalf of the Christians in Nigeria. • to your Prime Minister or President directly, urging them to intervene in this urgent matter and use the full influence of their office to secure an immediate end to these massacres and to obtain assurances that the Christians will be protected from further attacks.